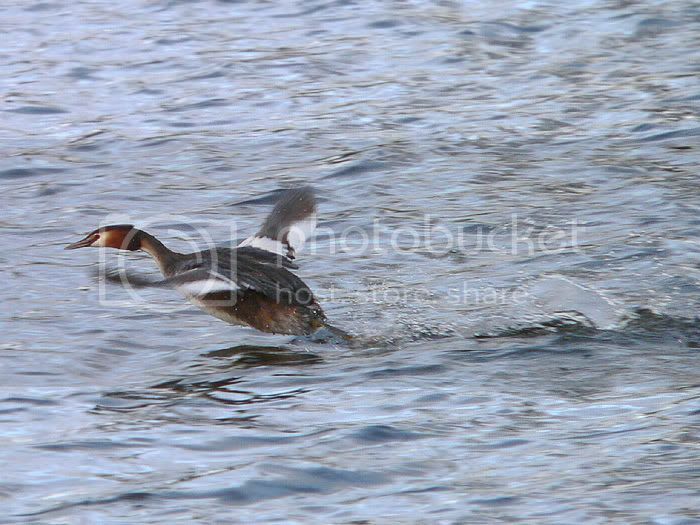 A few grebe's got into a lil' fight, this one run for safety; over the water. Had to crop it quite badly, but I just felt like sharing it. Highlights and midtones increased. 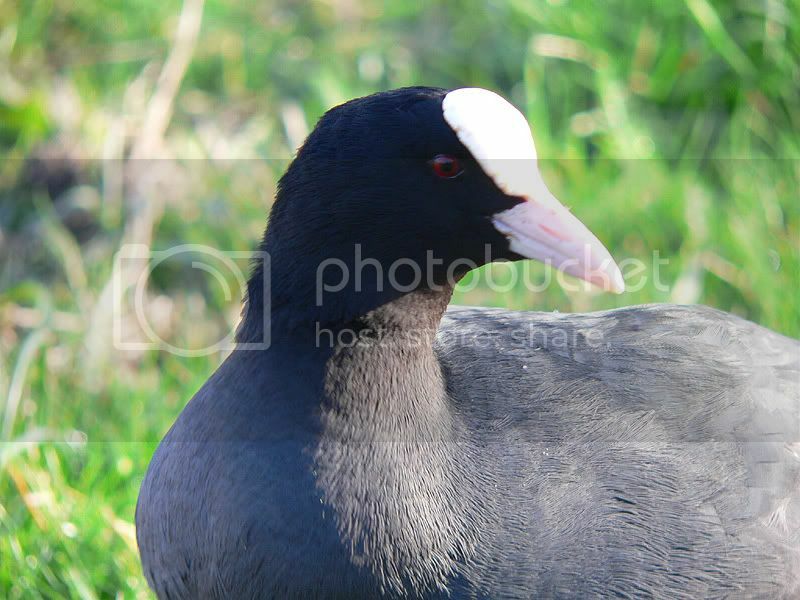 And a very tolerant coot; no cropping for this one 8)little level adjustments -wb left untouched as usual. Two nice 'nes from the netherlands. You really get the feeling of motion on the first. Always seems so amazing when a bird "runs" on water, and great texture of the feathers on #2.